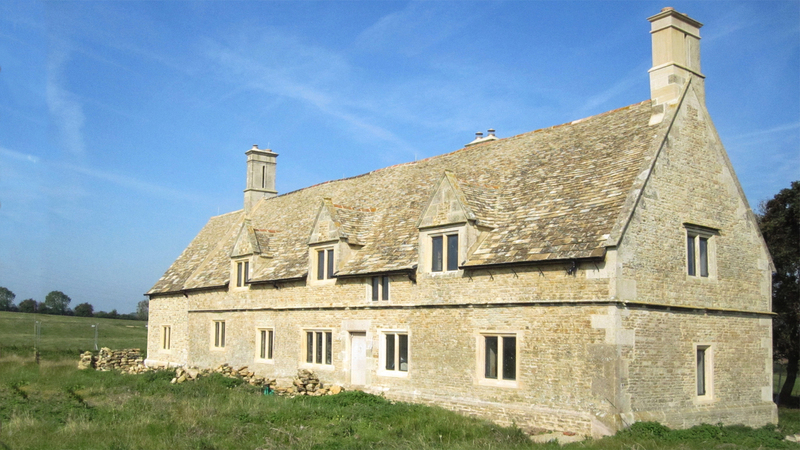 Working with Historians and Archaeologists we negotiated a difficult planning permission for conversion of this derelict house to a ‘Landmark Trust’ style holiday let. 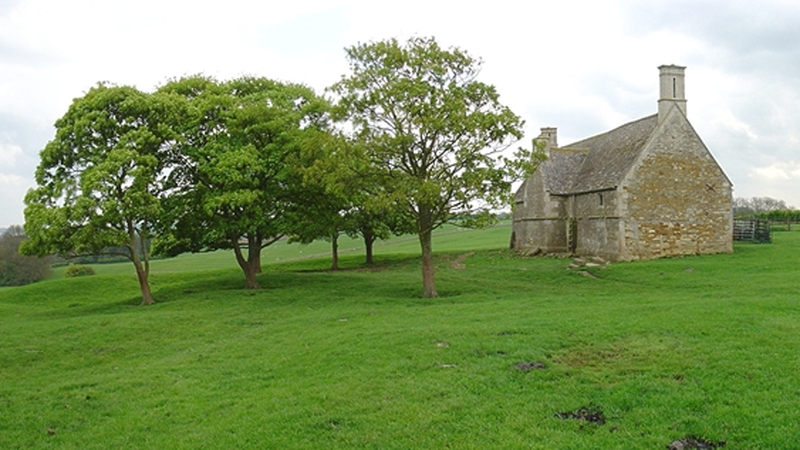 This former stable block is an isolated listed late C16th building surrounded by a scheduled ancient monument, a medieval village deserted in 1589. It had not been lived in for over 50 years and was at risk due to repeated theft and vandalism. Extensive Archaeological investigations revealed footings of an extension which was subsequently recreated. Other excavations have unearthed evidence of graves, a former chapel, a hall which was demolished in 1775, and many other foundations of surrounding houses. 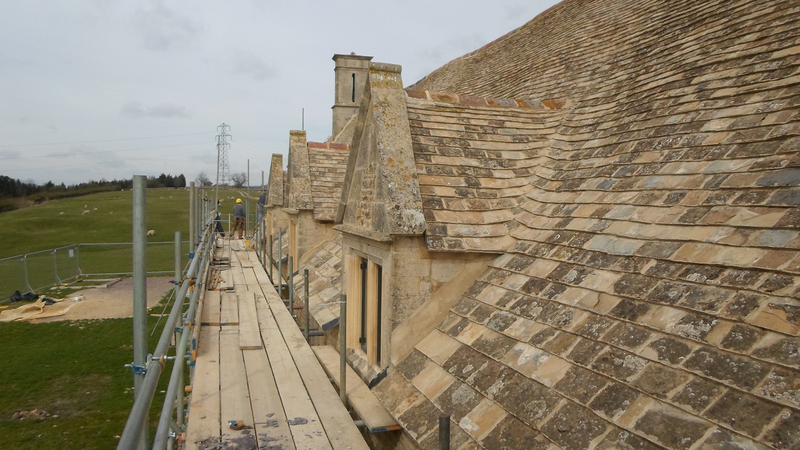 The interior of the building was heavily decayed and is being fully restored using conservation techniques including repairs to reed lath and lime plaster, extensive oak repairs and new stone floors on bare earth. 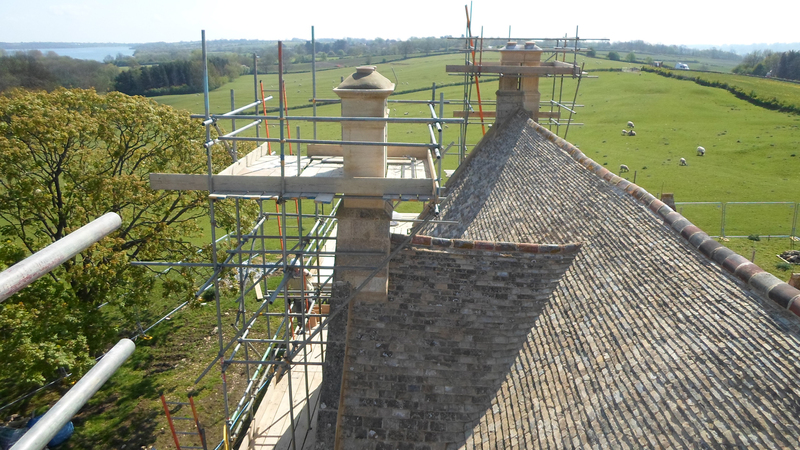 The roof has been totally repaired in Colley Weston Stone slates which are exceptionally rare. 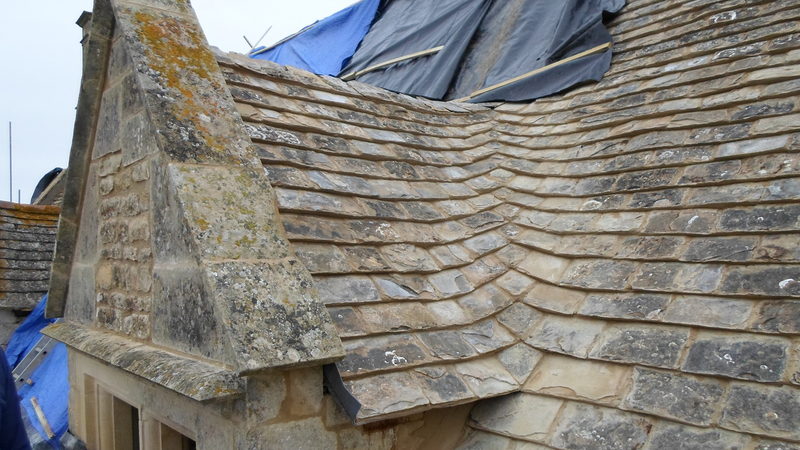 Swept valleys are carefully stitched in and all slates are fully pointed in lime mortar as a weathering. 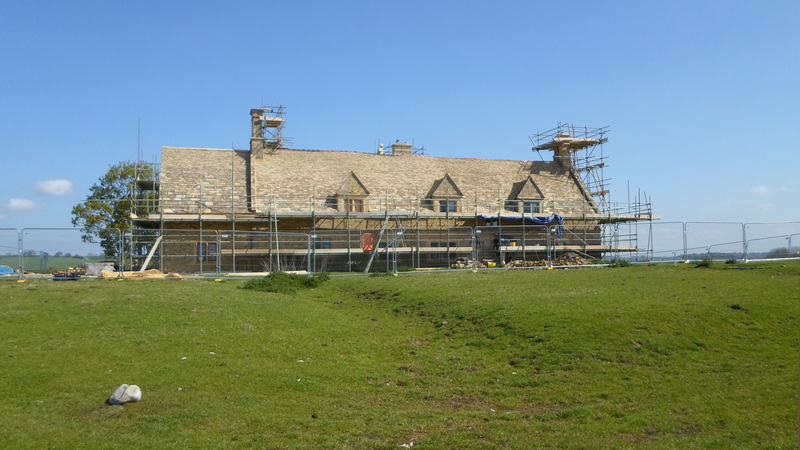 Extensive stone repairs were undertaken to chimneys, Dormers and leaning external walls. Windows have been reinstated using traditional bronze casementsin stone surrounds. The site has incredible views over Rutland.